Week one of fashion week officially ended in New York, and we’re en route to London for the next five days of fashion-filled festivities. 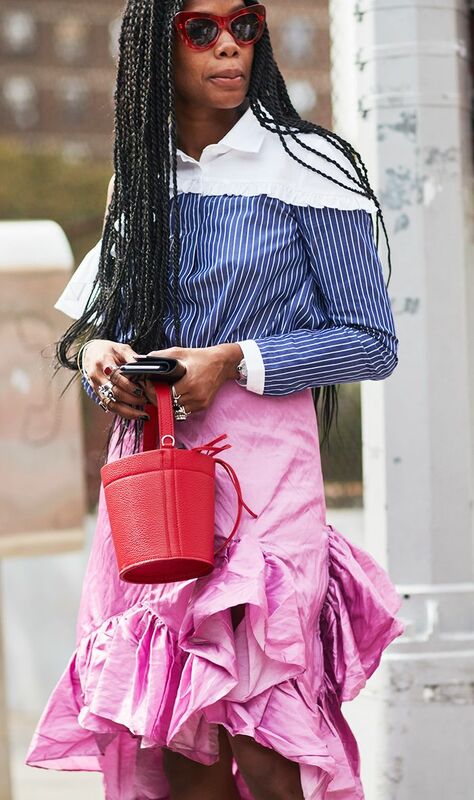 To make sure you don’t miss a beat of the best style moments, today we’re sharing the It girls who majorly caught our attention in the Big Apple so you can put them on your radar for the next three cities. While there's outfit inspiration on literally every street corner during fashion week, we’re highlighting a few of our favorite moments from the über-stylish women like Aimee Song and and Giovanna Battaglia (to name a couple). From bold color combinations to statement silhouettes, here’s how the It girls are dressing for fashion week. Keep reading to check out a few of the stylish women killing it during fashion month. Head here for our complete roundup of the best street style moments from NYFW.